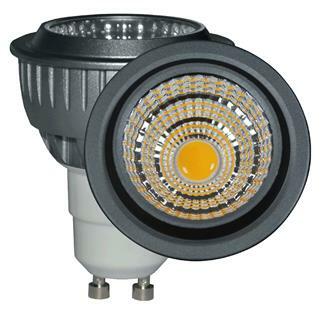 This GU10 LED FLOOD model uses the most advance next generation LED technology. Daylight white (6000K) in color. 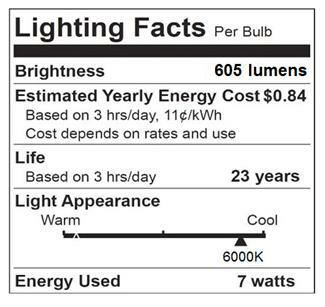 Intensity of approximately 605 lumens. Light emission angle of 90 degrees. Consumes 7 watts. Excellent power factor of 90%. CRI Index of 85. We use only the finest components and materials in the construction of this GU10 led bulb. Aviation quality aluminum housing, ceramic heat sink technology for superior luminance maintenance over time, high power LEDs from Cree, anti-glare lense, Tier I led driver for optimal operating life of 30,000 hrs. Fully dimmable at 110VAC. LC LED will honor all purchases made on our website with a 25 Month Replacement Warranty.